As the International Economic Forum wrapped up in St. Petersburg, Sergei Ivanov, Chief of Russia’s Presidential Administration and former defense minister summed up its results, noting that European businesses have understood that sanctions have not worked against Russia and that his home country feels a lot better with them in place. 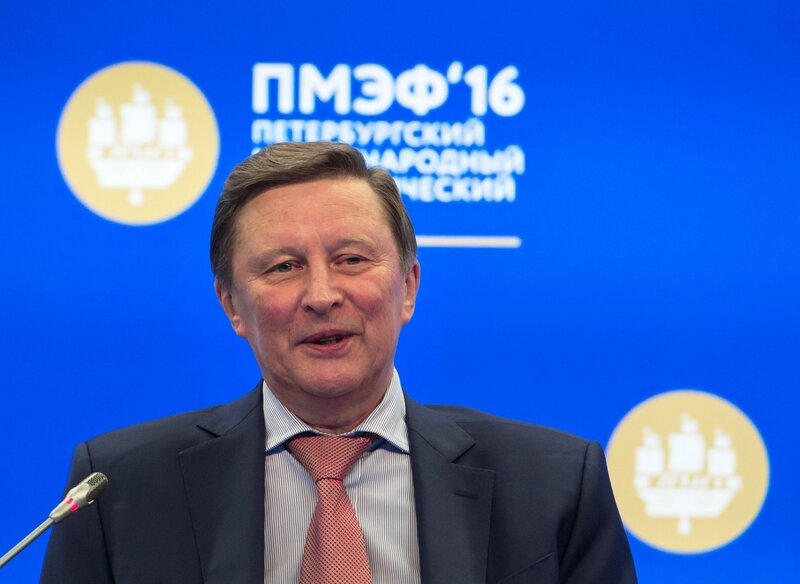 “It has become a national sport to bet on when the sanctions will be lifted,” Sergei Ivanov joked in his interview with Sergei Brilev, host of the Vesti v Subbotu (Saturday News) show on Rossiya-1 TV channel. “My personal opinion is that this year the punitive measures won’t be lifted, no matter what they say,” he added. The politician explained that while the sanctions have certainly caused Russia some damage, it is going to be downhill from now on: the rate of inflation has fallen, the growth in prices for basic necessities, which was the most painful effect of the measures for ordinary people, has been curbed. “Thanks to the smart policy of our Central Bank, the rate of inflation is coming down, while gold and foreign currency reserves are going up. The Reserve Fund and the National Wealth Fund remain at exactly the same level,” he said. “We’ve been talking about diversification of our economy for a long while. And the Russian proverb “if it weren't for bad luck, we’d have no luck at all” has worked here. We are along the way of ridding ourselves of our dependence on oil. Some Russian industries, like agriculture and the chemical industry, are experiencing 30-35 percent annual growth, and we should be proud of this. And it’s all thanks to the sanctions,” he said. The politician further acknowledged that as soon as Europe and the US lift their sanctions, Russia will need to ease its countermeasures. “What am I driving at? I would personally prefer that anti-Russian sanctions be in place for a longer time and not lifted soon,” Sergei Ivanov said. European business has understood that the sanctions have not worked against Russia. There is no isolation, because it is a mistake to think that Europe and North America represent the whole world. The economic situation in Europe is far from being brilliant, to put it mildly, he said. And the export ban on traditional goods to Russia, and it is already in place for the third consecutive year, is “costing a pretty penny” to the European businesses, not Russian ones. “In other words, they understood that Russia has easily withstood the sanctions, its economy has demonstrated stability, vitality, adaptability and the damage from the sanctions is winding down,” he said. In the modern world, he added, sanctions do not work. None of them. The punitive measures neither worked against Iran, to the extent their authors wanted them to, and this is already a historic fact. The Chief of the Presidential Administration also said that he was at a meeting of President Putin with the leading foreign investors who attended the Forum. What is even more interesting, he noted, that these people were interested not only in Russia’s agriculture, which was predictable, but in other industries and companies. “For example, in the “Russian Helicopters” company. You know an ordinary helicopter like the Mi-8 or Mi-35? They are civilian helicopters, but it takes only 5 minutes to install a couple of machine-guns on board and they become combat helicopters. And these people want to invest in such a “sensitive” industry,” said Sergei Ivanov, who was Russia’s Defense Minister from 2001 to 2007. The lifting of anti-Russian sanctions is often mentioned with regards to the Minsk accords: a possibility to ease the punitive measures is only possible in case Russia sticks to the agreements set in Minsk. “Such a thing is either said by the people who never read the Minsk agreements or by those who read them but use it as a pretext,” Ivanov said. 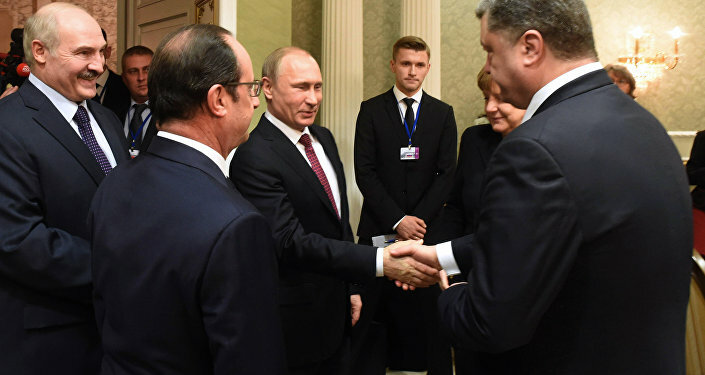 “The implementation of the Minsk agreements to a far larger extent depends on Kiev rather than Moscow. But even if we disregard this and imagine that it “takes two to tango” then the measures should be put in place against both Moscow and Kiev,” he added. However, it is becoming clear and evident to everyone, the politician said, that Kiev does not want and is not going to implements these agreements. “Ukraine has long been demonstrating one well-known trick: if I don’t want to implement political and diplomatic clauses of the agreements, what can I do?” Ivanov wondered. “I can show that the military actions are still in place. It is very easy to do, and I know, I have served as a Defense Minister for six years,” he replied. “You strike first and when they respond you start claiming that they are violating the ceasefire,” he further explained. And when there is violation, there is no safety and security in the area, what elections can take place? he said. The progress in Kiev’s stance, and this is absolutely evident, depends on the Americans, the former defense minister said. There will be no progress until the presidential elections in the US therefore I suggested that until that time the sanctions won’t be lifted. Everything is interconnected. “The economic situation in the Baltic States is, to put it mildly, poor. All the three states, which are certainly independent and members of NATO, have experienced one and the same problem: depopulation. The statistics are striking: if you compare the figures of the late 1990s in Latvia, for example, with those of today, almost half of the population has virtually vanished,” he said. The politician added that the residents of the Baltic State are ready to work as low-qualified personnel, like nurses or plumbers, in more prosperous countries of the EU, and this is where all of them currently are. What shall the country do in this case, he wondered. The trick is well-known: start claiming that the “villain” Russia is planning to attack, as its only dream is to conquer the Baltics. And what does even one battalion or a brigade mean to the hosting country: hundreds of new working places, additional income, economic revenue. Any military presence means economic revenue for the hosting country, he added. 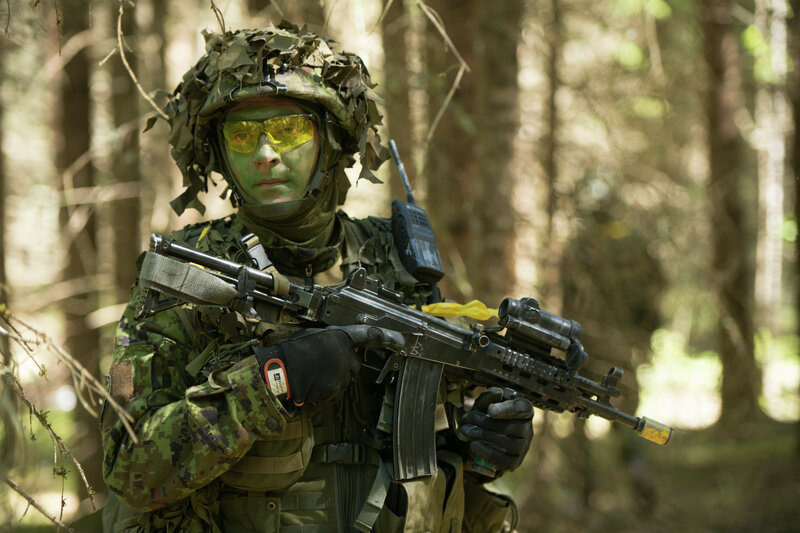 And the Baltic States here “kill two birds with one stone”: they provide a basis for keeping the sanctions in place and portray Russia as a potential enemy.